Blue used to be a minor color with negative connotations in much of Western Europe, but now it’s the favorite color of over 50% of Europeans, and the color they wear more than any other. How did that happen? In Antiquity and the early Middle Ages, the noble colors in the arts were white, black, red, yellow and green. For clothes, red and purple were the colors of emperors and kings. Blue was also widely used, but it was not seen as a positive or noble color. For the Romans, blue was actually the least civilized color. For them, it was the color of Barbarians, the color of the blue-eyed Germanic invaders and of the Celts who painted their faces and bodies blue to frighten their enemies in battle. 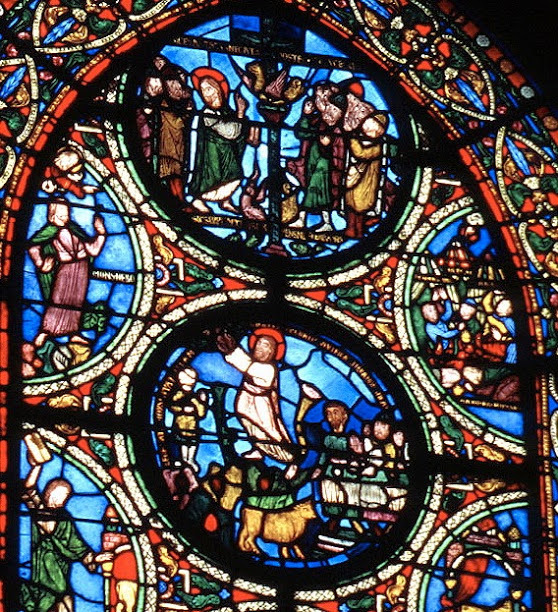 According to Michel Pastoureau’s work on the history of the color blue, this negative view continued until the 12th century, when two major changes happened. First, blue became the color of the Virgin Mary in Christian art. It is not clear exactly when Mary started to be represented wearing blue, but by the 12th century it had become her color, giving it a highly positive image in the Christian world. 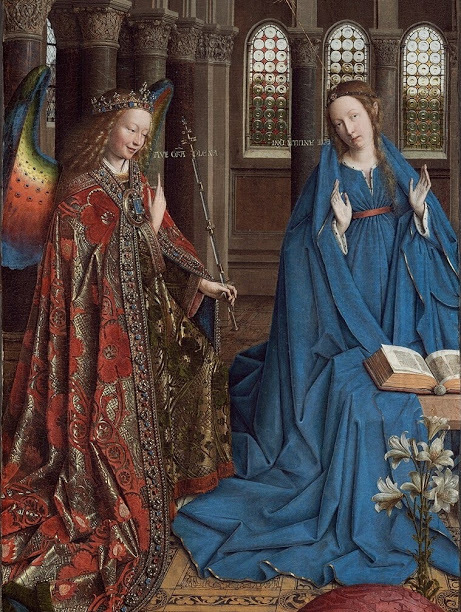 Jan van Eyck, Annunciation – detail, c.1435, National Gallery of Art, Washington, D.C.
Blue therefore appeared in stained glass windows, following Abbot Suger’s pioneering use of cobalt blue for the windows of the Saint-Denis Basilica around 1140. This had such an impact that the shade of blue he used became known as Saint Denis Blue, featuring in many Gothic cathedrals after that. 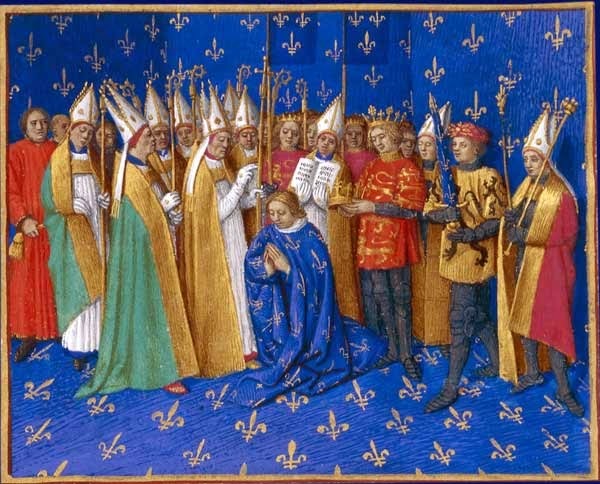 Secondly, Philip Augustus, King of France from 1180 to 1223, started to wear blue and saw the development of the design of the French coat of arms that would be used for 600 years, with golden fleur-de-lys on a field of azure blue. This was the first time a European king had worn blue or had a coat of arms with a blue background. His grandson Louis IX, aka Saint Louis, King of France from 1226 to 1270, then became the first king to wear blue most of the time. This started a trend that spread throughout Europe and made blue a noble color, which eventually became known as Royal Blue. The positive image of blue was reinforced in the 16th century, during the Protestant Reformation. Reacting against the excesses of the Catholic church, reformers identified two groups of colors: honest colors and dishonest colors. The dishonest colors were red, yellow and green. The honest ones were white, black, gray, brown and blue. In about 400 years, blue came to be associated with the Virgin Mary, royalty, honesty and morality. 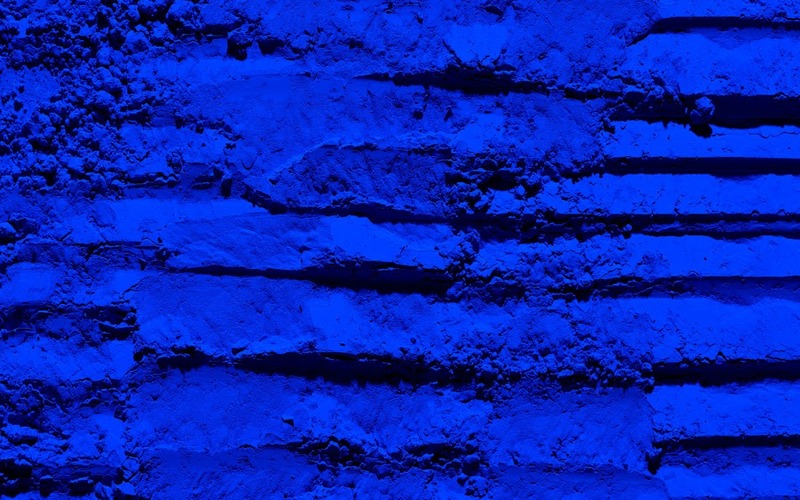 Then new pigments were invented, such as Prussian Blue, and the palette of blues became even richer, setting the stage for the rise of blue as Europe’s favorite color. And that’s how blue became so popular.